Go Mobile with the Mastery of Recall Management! There’s no denying – the world has gone mobile. All you need to do is look out at your service drive to see your service team using lane tablets to efficiently manage vehicles in your service lane. Recall Masters places the power of mobility in your hands without costly hardware. All you need is your smart phone and the Recall Check mobile app from Recall Masters and you’ll carry data for millions of vehicles in your pocket! To preview the app for free, all you have to do is go to the Apple Store or the Android Play Store and search “Recall Masters Check” to begin your download. Create a new account and enter your identifier number or try limited VIN checks for free. For Use at Trade-In: Use the Recall Check mobile app to quickly assess any recall liability you are bringing onto your lot. While your dealership may have access to NHTSA recall data on the fly, Recall Masters gives you access to off-brand NHTSA recall data and other select factory notices. Mitigate risk before you secure the asset. For Use at Auction: The pre-owned vehicle market is sizzling right now. So much so that dealerships are scouring the internet and auctions for on-brand vehicles that they can recondition quickly and place onto the lot as a valuable CPO asset. 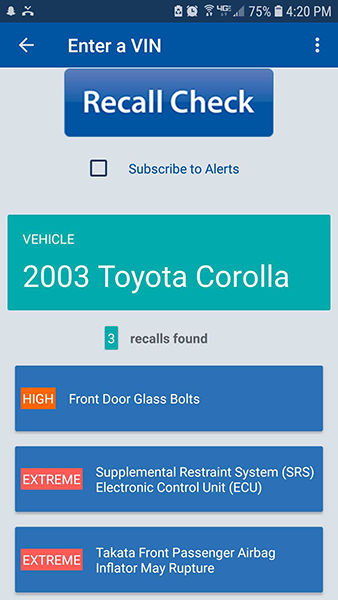 The Recall Check app helps your acquisition team quickly assess vehicles for recalls, especially those where parts-availability is an issue. 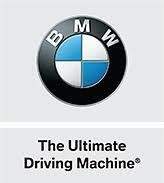 For Mobile Service Team: Watch the video at the bottom of this webpage to see how select BMW Centers are using mobility to drive service revenue. The Recall Check is a valuable tool in that arsenal, providing mobile techs with the ability to help consumers identify recall dangers that might be present in other household vehicles. Consumer Edition: Sure, we’re providing dealerships and other organizations with valuable vehicle recall data, but we’re also putting the power of Recall Check into the hands of consumers. New recalls are announced regularly, so encourage your customers to download the app and check their vehicles often. The data displayed differs from information we provide to our dealership clients. Obtaining your share of the recall opportunity doesn’t have to wait for consumers to pull into your service drive. In fact, a fair number of recalls can be repaired remotely. 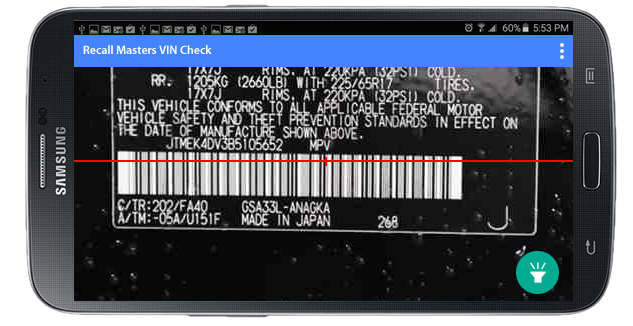 Dealerships already servicing vehicles with mobile service teams are using Recall Masters’ Recall Check mobile app to quickly scan VINs to ensure vehicles are recall free. And, because the mobile app can also assess off-brand vehicles, mobile service teams are scanning other vehicles in the consumer’s household to advise them of recalls. While you can’t service off-brand vehicles, this service builds loyalty with consumers and establishes your dealership as a trusted partner in the community.